Are you a retailer in the Kanturk area? Are you a retailer in the Kanturk area? 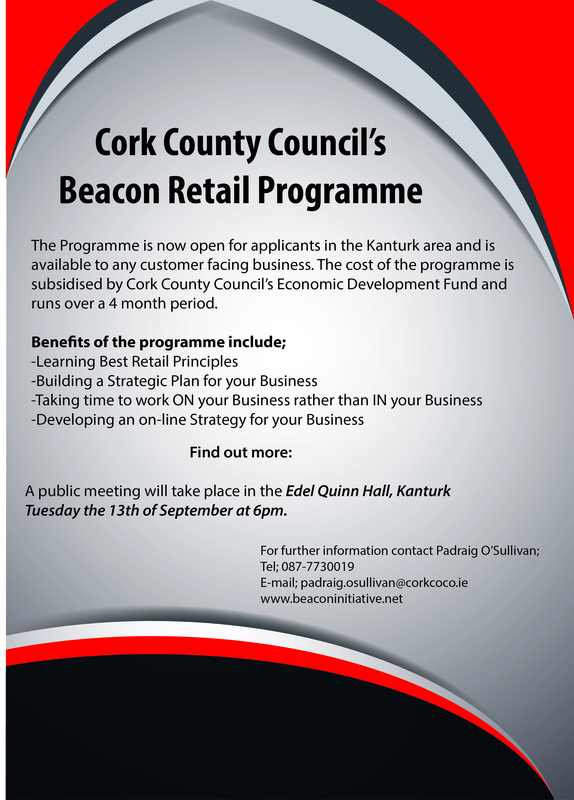 If so why not come along to our public meeting in the Edel Quinn Hall, Tuesday the 13th September at 6pm to find out what the Beacon Retail Programme can do for your business!